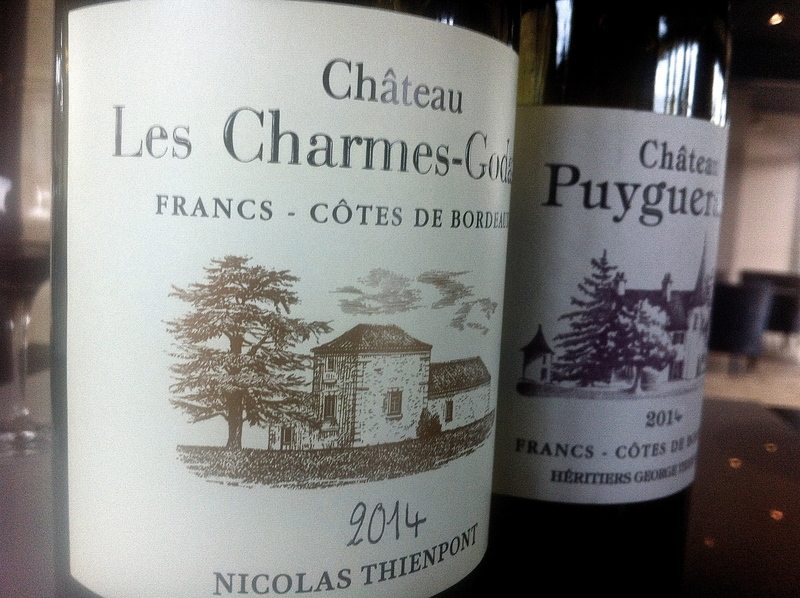 Cyrille Thienpont showed the range of wines that the Thienponts manage on the Right Bank at a comprehensive tasting at Château Pavie Macquin earlier this month. The jewels here are in St Emilion and include Château Berliquet, Château Larcis Ducasse, Château Pavie Macquin itself and Château Beauséjour [hDL]. These wines look very good indeed in 2014. Larcis Ducasse has beautiful ripeness and seduction, Pavie-Macquin power and strength and Beauséjour fantastic purity. The Nicolas Thienpont properties in the Côtes de Francs [Château Puyregaud and Château La Prade] and the Côtes de Castillon [Château Alcée] are also very much worth considering in 2014. On the question of whether the vintage is a year for the Cabernets [Franc especially so here on the Right Bank] Cyrille Thienpont sees that is it just as much a question of soils as varieties. Cabernet Franc from the best terroirs is very good indeed and benefitted the most from the September and October sun, but in the right spots the Merlot has succeeded well too. Clearly 2014 was a challenging growing season in St Emilion as it was elsewhere in the summer months [when there was no summer] and it seems there was a little more rain here then than in Francs and Castillon [and the Left Bank appellations too]. Much work was needed therefore in the vineyards at that time to mitigate the heavy rainfall and the grey conditions. The sunny weather that began in late August and which continued pretty much until mid October totally changed the face of the vintage. This dry weather concentrated the juices and the hot temperatures refined the tannins saving the vintage from mediocrity [or worse]. You can’t replace the missing heat of July and August entirely even despite the autumn summer and this has resulted in greater aromatic freshness and nimble acidities in the wines. This combination of freshness and ripeness is genuinely enticing and an attractive prospect for the consumer where the prices are right. 2014 is the first vintage in which the newly planted vineyards at Château Berliquet have come on stream. The nine hectare vineyard has enviable terroir positioned on St Emilion’s limestone plateau outcrop with sunny exposure. There is minerality and finesse here in Berliquet in 2014 as well as freshness. Château Larcis-Ducasse has a gorgeous position on the Côte Pavie [which adjoins Château Pavie]. This extremely sunny, southern exposure produces fruit of great ripeness that turns into wine with a silky, caressing quality. There is plenty of matter and extract to Larcis Ducasse in 2014 but there is also that voluptuous satin aspect to the fruit which is irresistible here. Château Pavie-Macquin 2014 showed especially well on the two occasions I tasted it. This is a powerful and strong wine and is impressive. The property has excellent terroir on the St Emilion plateau. Nicolas Thienpont and David Suire [winemaker] have been managing Château Beauséjour [héritiers Duffau-Lagarrosse] since 2009. The results have spoken for themselves. Beauséjour is a small property [6 hectare] on St Emilion’s plateau with a variety of exposures. There is terrific purity to Beauséjour in 2014 and this looks to be one of St Emlion’s most exceptional wines. Château Trimoulet is a 16 hectare property run by Cécile Jean and David Dumont. Nicolas Thienpont and David Suire have been working with them since 2011. Trimoulet is satisfying and textured St Emilion in 2014. I’ve also included the notes on the Thienpont properties in Francs and Castillon. This are usually very good value red wines with plenty of extract and polish. Château Puygueraud and Château La Prade are impressive in 2014 as is Château Alcée in Castillon [near to the highly regarded Château d’Aiguilhe]. Château Les Charmes-Godard is a great value white wine with plenty going as is the white produced at Puygueraud. Both are worth seeking out and drinking young. 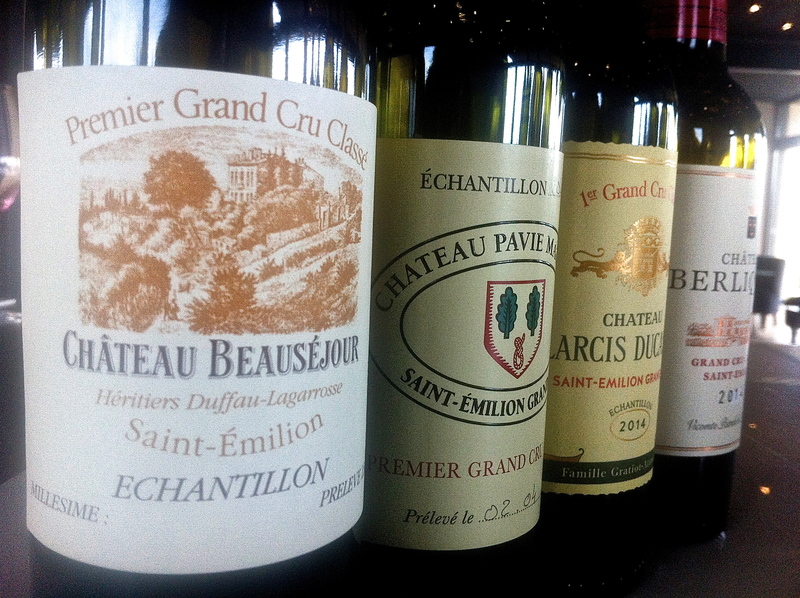 The following wines were tasted at Château Pavie-Macquin on Friday April 3, 2015. Berliquet, Larcis Ducasse and Pavie Macquin were also tasted earlier during primeurs week and I’ve included those notes too. The wines showed a fraction better at Pavie Macquin, partly I suspect because I had more time to taste and consider them. Château Puygueraud [Francs, Côtes de Bordeaux]. Château La Prade [Francs, Côtes de Bordeaux]. Château Alcée [Castillon, Côtes de Bordeaux]. Château Trimoulet, St Emilion Grand Cru. Château Berliquet, St Emilion Grand Cru Classé. Château Larcis Ducasse, St Emilion Premier Grand Cru Classé. Château Pavie Macquin, St Emilion Premier Grand Cru Classé. Château Beauséjour [héritiers Duffau-Lagarrosse], St Emilon Premier Grand Cru Classé.